Runway 4 Left at Kennedy International Airport was closed for more than an hour on Wednesday morning. The cause: turtles on the runway. 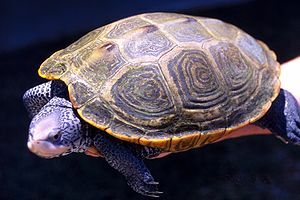 Specialists from the Port Authority of New York and New Jersey removed about 100 diamondback terrapins from the runway around 10 a.m., said John P. L. Kelly, a Port Authority spokesman.